At 6’2” and 165 pounds, I tend to put most equipment I use to the test, and a pair of running/trekking is no exception to that. I am fortunate to have the trail start 30 feet from my kitchen door in beautiful Kings Beach, CA at Lake Tahoe, opening to the huge network of terrain towards Truckee and Reno. There are endless miles of trails to link up, serving me and my long distance running habit very well. 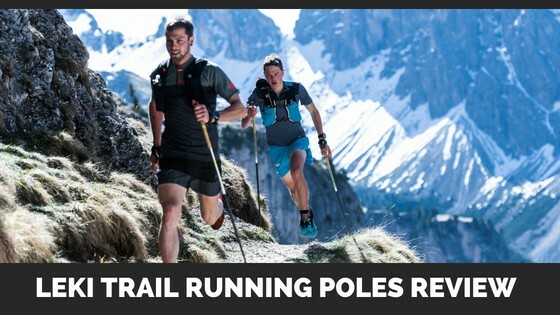 I am a big fan of poles for backpacking, running steep trails like my favorite backyard trail that gains 870’ feet in ½ mile at an average grade of 29%, and when running ultra long distances like the 175 mile Tahoe Rim Trail. Back in 2015, I set the Unsupported Fastest Known Time on the TRT and used poles every step of the way. They became like natural extra limbs for me, especially crucial in the end miles as I would double pole plant at the bottom of a tall rock step and descend with all my weight on the poles as I swung softly into my next step, avoiding a little of the relentless knee pounding from running this far. The Trail Varios come with the hefty price tag of $219.95 and the carbon fiber poles are offered in two different sizes 105-120cm and 115-130cm. They weigh in at 470g (16.8oz) per pair, which is about about 3oz heavier and $20 more than Black Diamond’s equivalent adjustable Distance Carbon FLZ Trekking Pole. I have not used the BD trekking pole but did use their Distance Carbon Z Pole (non-adjustable length) successfully on my Tahoe Rim Trail Run. However, shortly after the TRT I snapped the carbon fiber shaft on one pole and broke the plastic cord that holds the poles together on another one. Black Diamond warrantied the broken shaft, but did not warranty the cord that broke and rendered the poles useless. Upon receiving my new Leki poles, I knew they were going to be a more durable pole for the rigors I would soon put them through, and we all need a pole we can trust to make it to the end of the trail. I gave them the double pole plant test time after time, with the Trail Vario barely flexing under the stress of my full body weight. Everytime I did this with the BD Z Poles, they would flex considerably and I always feared of breaking them. The Trigger Shark 2.0 Grip with detachable wrist strap seemed kind of cool and convenient. Though I was a little concerned with quickly snapping the nylon loop of cord on the wrist strap that snaps into the handle, but saw that it would be an easy DIY repair by tying on a new loop of cord. This is a new wrist strap system for me and would take some getting used to the different leverage and pull on these as opposed to a traditional wrist strap. The Trail Vario is an adjustable five section collapsible pole, allowing for micro adjustments in length to accommodate everyone’s individual height and works great with lightweight backpacking tents that require a hiking pole as part of its structure. It has the shortest pack length of any Leki or Black Diamond pole at just 30cm. 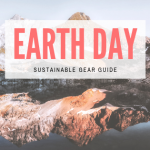 These poles assemble/disassemble with the ease of a good avalanche probe or tent pole, in which you toss it out by the end and pull it tight as the parts all swiftly snap into place. This allows you to hardly break stride in your running when transitioning from using them on uphills to stowing them away on the downhills. It takes less than a second to push the wrist strap release button on top of the pole and release the wrist straps, and is the same when popping the wrist straps back in, making it super convenient if constantly transitioning between ups and downs and not breaking down your poles in between. This pole is not quite as light as I would like, but the added weight is worth the additional durability this pole provides over other lighter weight poles on the market. Though I did get used to the snap in wrist strap system and like it, the jury is still out with me on whether I prefer a traditional wrist strap over this and the different leverage of pull it creates on the pole. Fortunately, Leki makes a near identical pole in the Micro Vario Black Carbon that has a traditional wrist strap, for those that find this preferable. I disassembled and assembled these poles many, many times while running and never had any problems. After popping the wrist straps on and off the poles countless times, the nylon loop attaching the wrist strap to the pole is proving way more durable than I would have ever thought. They stow away well on my Ultimate Direction PB Adventure vest, in which I cut the bottom out of the outside gel pocket on the side of the water bottle, converting it into a sleeve and used in conjunction with one of the elastic water line loops, to have the poles remain securely in place during the most steep and jarring downhills I could find. I really like these poles and find them to good fine line between weight and strength! Mike lives in Kings Beach with his wife and dog. 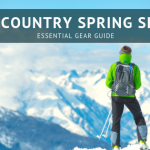 He’s a runner at heart but also loves backpacking and backcountry skiing. 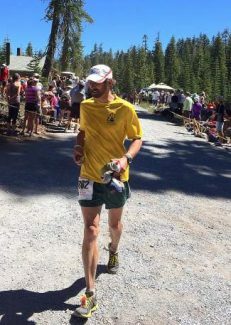 He held the fastest known time on the Tahoe Rim Trail (read about it here) and has been supportive of other athletes going for the fastest known time even though they broke his record. He’s even skied the entire Tahoe Rim Trail. 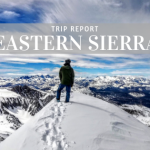 One of his favorite places to go backpacking is the John Muir Trail and he’s done it multiple times – sometimes fast and sometimes slower so he can enjoy all the natural beauty. He coordinates the best aid station for the Tahoe 200 Endurance Run and makes a mean burrito.